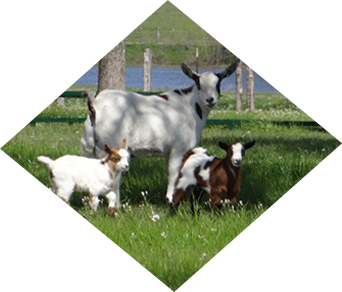 Our goal is to breed & raise healthy, sustainable goat herds. 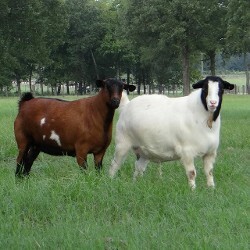 Our Myotonic goats are great for use in cross-breeding programs, herd improvements, or as foundation stock for new herds. We also offer a range of high-quality Myotonic show bucks and does. 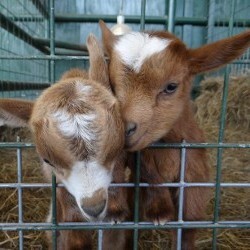 In addition to providing high meat-yields; they're gentle, fun, low-maintenance, and enjoy human attention. We give our meat goats individual time and handling, and we know them all by name. Although our goats are primarily purchased for breeding or show, we occasionally have wethers to sell for meat (price per lb live weight). Sign up for our "Will Call" program and you will be contacted when meat wethers are available. 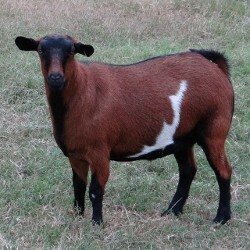 We shifted our focus from Myotonic-Boer crosses to 100% Myotonic goats. 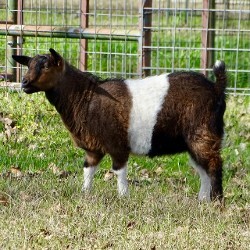 With the sale of the remaining crosses in March 2019, we no longer offer Myotonic-Boer crosses for sale. So, why shift to 100% Myotonic goats? browsing, they typically are parasite-resistant. This results in a robust goat, with an abundance of high-quality muscle, which adapts well to low-forage-based environments. Their docile temperament makes them easy to handle and a joy to raise. And due to the genetic distance from other breeds; use in crossbreeding programs yield strong hybrid vigor. 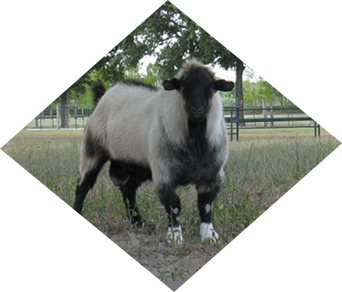 The myotonic goat breed is one of six goat breeds on the Livestock Conservancy's 'Conservation Priority List'. The mission of The Livestock Conservancy is to protect endangered livestock breeds from extinction. 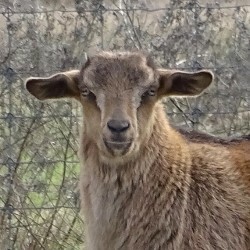 Due to the focused conservation efforts and breed promotion by registries such as the Myotonic Goat Registry (MGR), the current status of the Myotonic breed is listed as "Recovering". We would like to do our bit to promote breed preservation by shifting focus to providing and maintaining the genetically strong pure-breed resource. Our 2019 breeding program will commence in May. Kids should begin arriving in October. We encourage you to take a look at pictures and biographies of our herd. 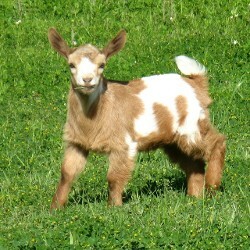 Reserve a Goat From Our Newborn Arrivals! We began breeding and raising goats at the J-I Ranch initially as a way to keep the fence lines and lake banks tidy and to supplement our income after retirement. We found we enjoyed being surrounded by healthy, happy goats and quickly settled into a philosophy of maintaining a small pasture-fed, free-range herd in an enriched goat environment with frequent handling and interaction. Our herd is made up entirely of meat goats. 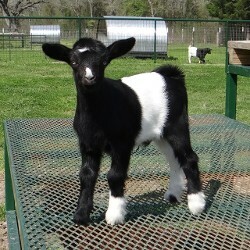 We raise Myotonic goats, also know as "fainting goats". As we age, we have come to appreciate the quiet gentleness of the Myotonics. 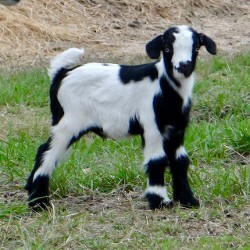 Interested in breed preservation and herd improvement, we have chosen to specialize in 100% Myotonic goats and no longer breed Myotonic-Boer crosses. 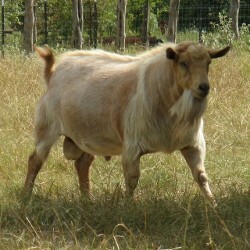 Our goats are low-maintenance, easy keepers with a high meat yield. Goats are available for pick-up only, and we require a deposit to hold a particular goat or for custom-order accessories. We are registered breeders with the Myotonic Goat Registry. Breeder Number: 2116. Breeder Suffix: JIR.